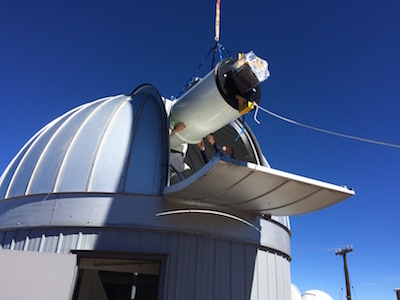 ATLAS Telescope #1 is in operation on Haleakala! 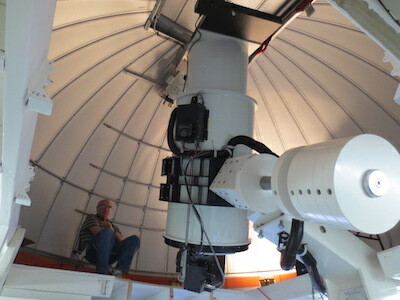 In late May, the ATLAS team installed the mount and assembled the telescope inside the ASH dome in a series of remarkably smooth operations. The telescope is working well and producing useful images. We anticipate full resolution after some adjustments are made to the Schmidt corrector. The mount also performs well though it will require some fine-tuning to acheve ATLAS’ stringent tracking specifications. 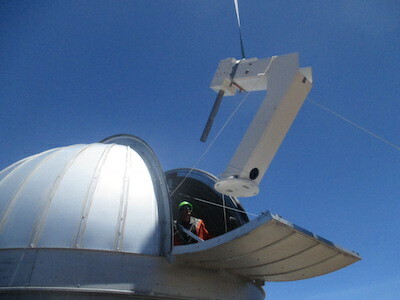 The mount for the Haleakala observatory is lifted into the dome, folllowed by the ATLAS 1 telescope two days later. More photographs of the installation procedure can be found in our blogs for late May 2015. 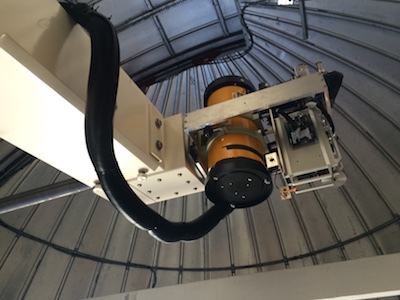 The APM mount was successfully installed in the Mauna Loa dome in late May, and the Pathfinder telescope and the UCAM camera was mounted onto it soon afterwards. The system continues to provide a data stream for software development until the installation of ATLAS Telescope #2, which is expected to arrive when DFM Engineering completes its Schmidt corrector. 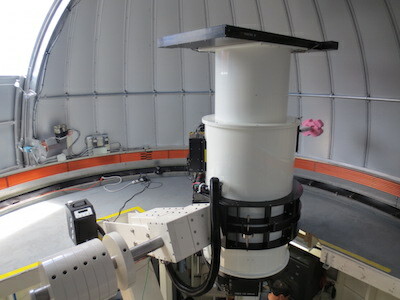 The ACAM #2 camera, currently at Semiconductor Technology Associates, is waiting for its Science Grade STA 1600 CCD. We expect its delivery from STA some time before the telescope arrives. iidentifyng these moving objects with previously known asteroids. All aspects of this whole system are very much under development right now. However, the existing system on Haleakala can survey the entire sky in a little more than one night, and we have begun accumulating images. Our second post-doc, Ari Heinze, joins the ATLAS team on August 1. 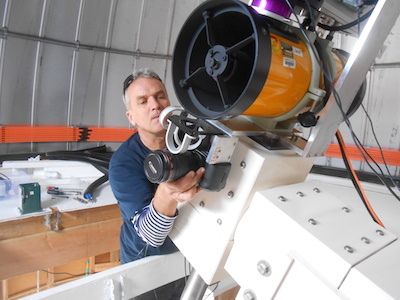 In August, the team will meet with representatives from NASA and South Africa during the International Astronomical Union meeting in Honolulu to discuss the possibility of a third ATLAS unit in South Africa.